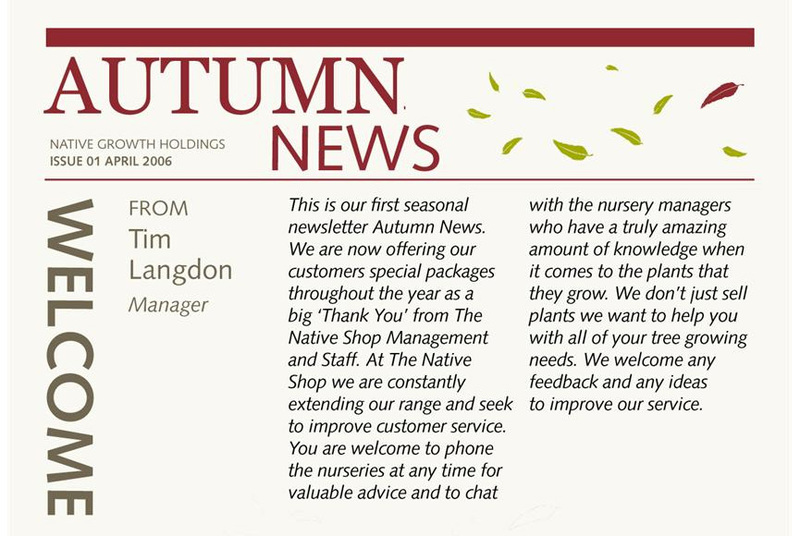 We produced a seasonal Newsletter for Native Growth Holdings that was differentiated visually by the season in which it was released. i.e. each season a newsletter was distributed and its content and imagery were specific to that season as well as its overall design and look. 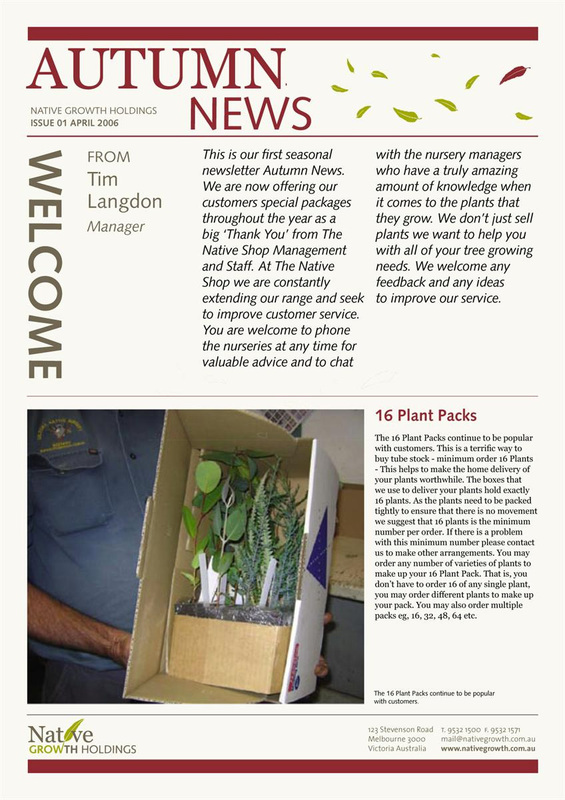 These newsletters were distributed both digitally and printed and sent to regular buyers.